Team Mobile recently hosted international members of the aviation and aerospace press from five countries. Reporters from a wide range of publications toured the Mobile final assembly line, heard presentations on the new A220 program, and asked questions of the company’s top management before attending a groundbreaking ceremony for the planned A220 FAL at Brookley Field. The Mobile visit was part of a larger media tour, with stops in Mirabel, Canada and Columbus, Mississippi. 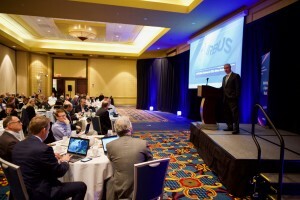 During the media tour, reporters learned more about Airbus’ OneWeb and Orion projects, aerial refueling, Airbus helicopters, and even Airbus participation in the U.S. entry for The America’s Cup race, set for 2020 in the waters off New Zealand. Terry Hutchinson, the team skipper and Executive Director charged with leading the U.S. in the quest for the oldest international sporting trophy, briefed reporters on the ways Airbus engineers have already helped his crew shave precious seconds off their times. The U.S. boat, called American Magic, uses innovative approaches to achieve faster speeds and tests them at their winter base, just down the road in Pensacola, Florida. Kristi Tucker, Director of Communications, said the media tour gave reporters the chance to touch and feel Airbus operations across North America. “In the aviation industry, it’s important for reporters who write about various aircraft to be able to actually see where and how they are manufactured and assembled. The media tour allows us the chance to invite reporters to interact directly not just with company officials, but with the aircraft, as well,” Ms. Tucker said. While in Mobile, the media heard a presentation from Jeff Knittel, Chairman and CEO for Airbus America’s about Airbus’ new A220 program and the state of the company’s operations in the Americas, and participated in a press conference with Tom Enders (Airbus Chairman and CEO) Guillaume Faury (President of commercial aircraft business who will become Airbus Chairman and CEO in April), and Phillipe Balducchi (CEO of the A220 program).